We’ve recently posted some of our favorite dog movies and favorite cat movies, but we found a few more films that feature animals as main characters, and we couldn’t let them go unrecognized. Here are a few more movies about animals, either animated or real, and not always the kinds of creatures that make good pets! Tintin is a young journalist, with his dog Snowy, who finds a secret scroll in a boat he buys. He is abducted and ends up on an exciting adventure with his dog, and a captain named Haddock who is the descendant of Sir Francis Haddock, the captain of a ship called The Unicorn in the 17th century. The Unicorn was sunk and Tintin, Snowy, and Haddock search for the hidden treasure and the location of the sunken ship. Jen and John Grogan are a married couple who get a puppy, Marley, that ends up growing up to be a 100lb. dog. During his life with the Grogans, Marley has a lot of fun. In his 14 years of life, Marley does crazy things like jumping into the family pool, eating anything and everything he can, and wreaking havoc. Marley is a lovable dog but he just doesn’t know what he should and shouldn’t do. 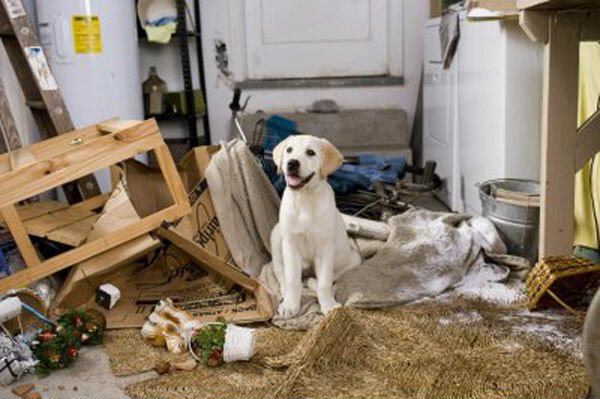 It’s a comedy and shows the bond between owners and their pets. Ok, George is not a cat or dog, he’s a monkey. 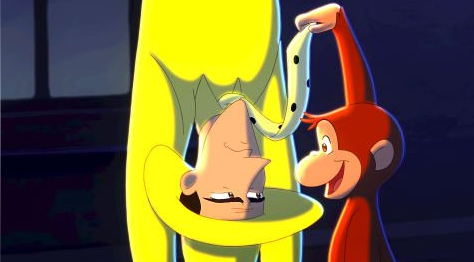 A naughty little monkey who follows a man in a yellow hat, Ted. They become friends and George follows Ted out of Africa back to the city. Ted has a few unfortunate incidents and George is there as his buddy. When Ted discovers that a small idol he found is just a clue to where an ancient idol can be found, he and George head out on adventure that is full of action, fun, and clumsiness. 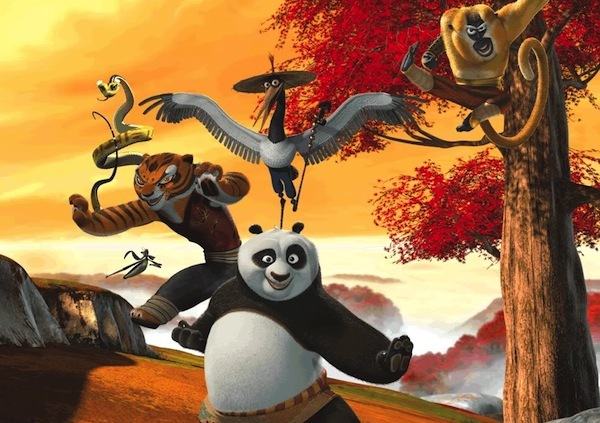 Po, a panda who was adopted by Ping, a goose, admires the Furious Five who are students of the Kung Fu Master Shifu. Accidentally Po finds himself being chosen as the Dragon Warrior. Many don’t believe a fat Panda could be “the one” but after training and finding his particular and unique talent, Po proves that warriors come in all shapes and sizes. This is one of my favorite movies, ever! 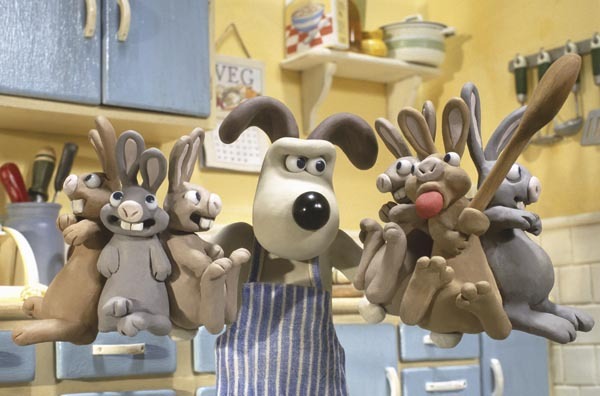 Wallace and his super-intelligent dog, Gromit must rescue the residents of their town from a mutant rabbit before the annual vegetable competition. They have been catching rabbits all season but now they have run out of space to keep the little guys. Wallace thinks of inventing a machine that would brain-wash the rabbits into not eating the vegetables but, as luck would have it, the machine doesn’t work. However, they now have a semi-intelligent rabbit named Hutch. The hunt for the Were-Rabbit is full of clumsy mishaps, funny tangled moments, and strange catastrophes for Wallace and Gromit. It’s a great family film. Marley and Me was my favorite of the above movies, though my kids aren’t really old enough to view it. Two others that my kids did really enjoy – Charlotte’s Web and Bolt!